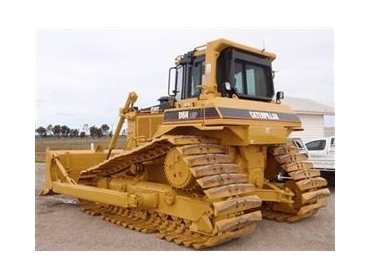 Mechtronik has launched a specialist heavy equipment pre-purchase inspection report service that arms buyers of heavy earthmoving equipment with factual condition assessment reports that allow them prior knowledge of the true value and repair costs before the unit goes to auction or the sales negotiation with your dealer begins. "All condition reports are not equal" says David Armstrong CEO of MECHTRONIK. "What we see is a lack of report conformity in the heavy earthmoving sales industry. The buyer has limited choice when making a high value buying decision. A condition inspection report supplied by the dealer selling the machine tend to only state the obvious. You could send in the manufacturer’s dealer-These are usually given a low priority and you have no idea of the experience of the mechanic looking at your next expensive purchase"
"You could send in your own or a local mechanic, but again it depends on their experience and ability to interpret their findings into an easy to understand report that gives you buying power"
A MECHTRONIK pre-purchase inspection report is a cost effective method that takes the guess work out of buying used earthmoving equipment and delivers real value when used as a part of the price negotiation process.